For the ultimate in well-being, there is no better experience in India than the Ayurvedic Spa! There are many reasons why we love the Ayurvedic Spa so much but right at the top of our list is the fact that the Ayurvedic spa is not a generic “one size fits all” experience. This spa experience is tailored to you and your body. India’s traditional natural healing system has a reputation of restoring the vitality of body, mind and spirit, delivering the perfect finish to your India travel experience. A centuries old lifestyle practice, Ayurvedic treatments aim to create harmony within the body and mind. Commonly practiced in India Ayurveda “works on the belief that all life forms have a “dosha”. Dosha is a unique mix of energies known as “vata”, “pitta” and “kapha”.” These energies are believed to perform different actions in the body. Each person has all three, however usually one or two dominate. A common misconception is that an Ayurveda consists only of a massage. In fact, an Ayurvedic treatment is much more than just a massage. Traditionally it’s a whole-body healing system based on the belief that a balance between ones body, mind and spirit ensures health and wellness. 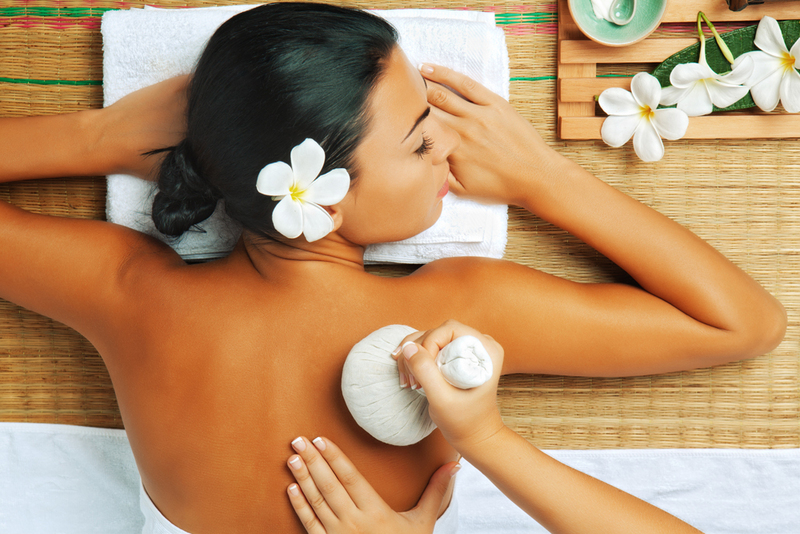 Ayurveda consists of massage therapy, a fairly strict diet, rest and exercise. However, you’re not required to follow the complete Ayurveda program during your treatment if you are simply sampling the Ayurvedic lifestyle. All treatments start with a consultation that analyses your health and lifestyle. An Ayurvedic treatment is prescribed based on the results of your consultation. Following the consultation is a massage treatment, with Ayurveda oils and herbs tailored to you and the needs of your body at that time. Many recommend refraining from alcohol and large meals prior to your treatment. This will allow your body to fully benefit from the healing process. Be sure to take the time to relax and recuperate after the treatment. Ayurvedic treatments are particularly effective for metabolic, stress related, and chronic conditions. Treatments are also helpful in relieving the effects of surgery and debilitating treatments such as chemotherapy. Other popular uses of Ayurveda are for general rejuvenation and beauty care. The ideal time for Ayurvedic treatment is when the atmosphere is cool, moist, and dust free. In India, the rainy season is ideal, during the monsoon from June to September. During this season, the body’s pores open up, making it most receptive to herbal oils and therapy. Where to experience Ayurvedic treatments? There’s two main types of Ayurvedic treatment on offer in India – general rejuvenation treatments catering to tourists and given by resorts in tourist areas, and intensive medical treatments administered by centers in geographic locations with the most suitable climate. Resorts are fine for anyone just wanting to get some pampering, a massage, or an overall feel for Ayurveda. However, those who are serious about receiving quality Ayurvedic treatment for medical reasons should go to a proper hospital. Kerala in Southern India offers authentic Ayurvedic Spa treatments for locals and tourists. World renowned for their Ayurvedic treatments, Kerala holds an unbroken tradition of Ayurveda that has surpassed many invasions and interferences both foreign and native. In Kerala the climate is right and there is an abundant supply of medicinal plants and herbs there. Kerala Tourism has introduced the “Green Leaf” and “Olive Leaf” grading for Ayurvedic institutions in order to ensure quality service. The “Green Leaf” classification is for Ayurvedic centers that provide five star facilities. “Olive Leaf” is for the three star category. These classifications provide a guide for users ensuring credibility and quality of service providers. Whether you are looking for a pamper or a serious medical treatment during your time in India, there is no better way to cleanse and balance body, mind and spirit than to experience an Ayurvedic Treatment. Acclaimed and praised by many, this treatment will not disappoint.